You are buying the First Quality Prevail for Men SM/MD White 28"-40" PUM-512/1 80/cs - Model #PUM-512/1 from First Quality. First Quality is a leading manufacturer of incontinence products including briefs, liners, underwear, diapers, and underpads. At ADW Diabetes, we do our best to offer the complete product line by First Quatliy with superior service and fast shipping. 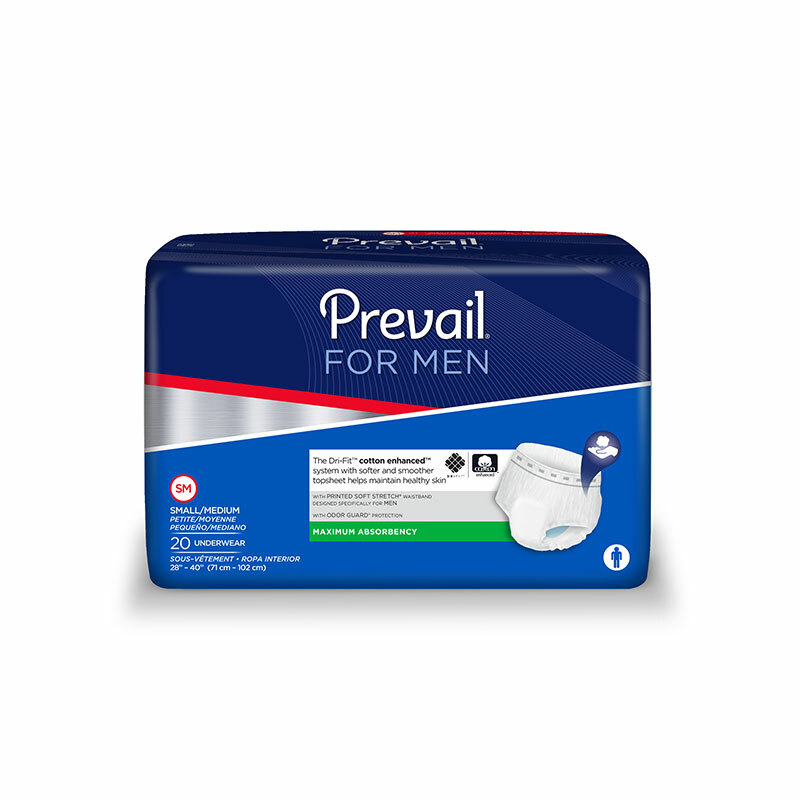 First Quality Prevail for Men SM/MD White 28"-40" PUM-512/1 80/cs - is ideal for moderate leakage associated with urge and mixed incontinence. Many men and women living with LOBC are wearing unisex protective underwear even though their unique body shapes have different needs. Prevail puts care in the details to give you the protection and design that's right for you. Designed for Men, it has a discreet and fast-absorbing core. Available in boxer or brief style underwear. Designed for Men - Designed specifically for a man.